Learn how to create repeating patterns and how to print those patterns onto paper and fabric. In this class we will learn the basics of block printing by carving rubber blocks, and we'll learn about different repeating pattern structures and how to construct them effectively. This knowledge can be applied to create things like patterned fabric for garments, card making, wallpaper, gift-wrap and much more. 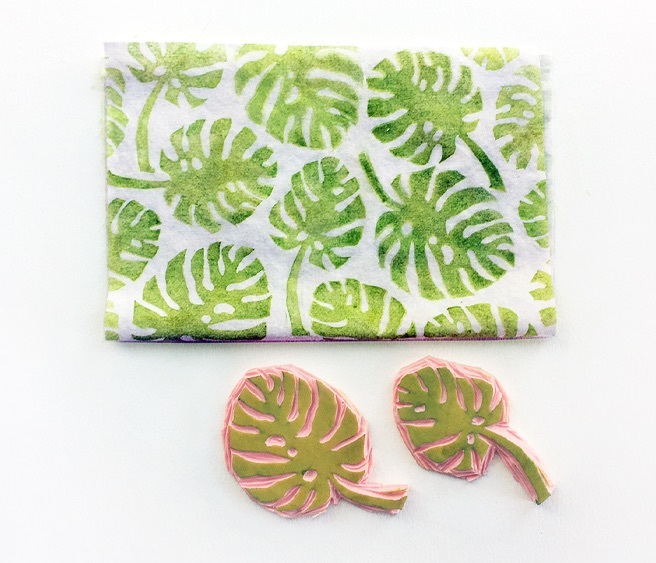 At the end of class, you will have a hand-printed set of napkins and many samples, including several carved blocks to print more at home. Jenna Lechner is an illustrator, writer and teacher based in Portland, Oregon. Born in Montana, she received a BFA degree in printmaking from the University of Oregon. She has been teaching art in the Portland area for the last seven years. Her practice focuses on observing the natural world, creating a one-on-one relationship with students and developing a deep understanding of the intersection between fine art and craft. Some of her illustration and writing clients include Adobe, Pentel Arts, HTC Mobile, the Portland Mercury, Willamette Week, DailyServing and Postfilm Design. This is her second year teaching at Sitka.